Solid Original Rock and ballads! These 3 artists have a unique sound that is just beginning to blossom and this album is the beginning of some great music to come! 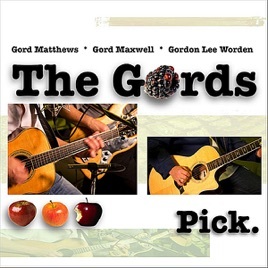 The Gords are hot new original music with a combination of country, melody, solid Rock and solid picking from each of their own spaces. They compliment each other and harmonize with a sound that has its own genre, a must have album.